It can make things rather easy when you keep yourself organized. One of the best ways to keep your schedule well understood is to have a calendar that is specifically tailored to your events so that you remember when you’re free or not, or if you have something important to do that day. 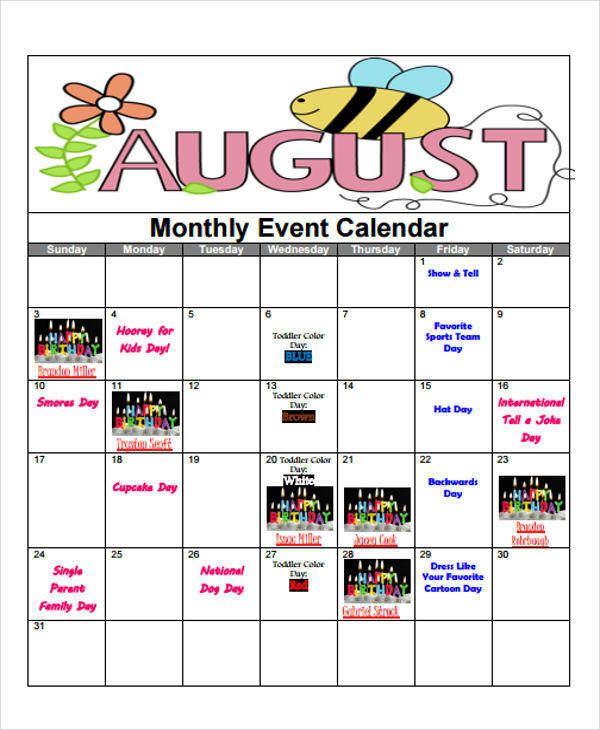 On this list, we offer such a calendar templates that can help you out in relating to events. We offer to you here 8+ event calendar templates that you can download and then use to help yourself out. They’re not the only types of calendar that we offer. We also have these perpetual calendar and marketing calendar to check out should you be interested. 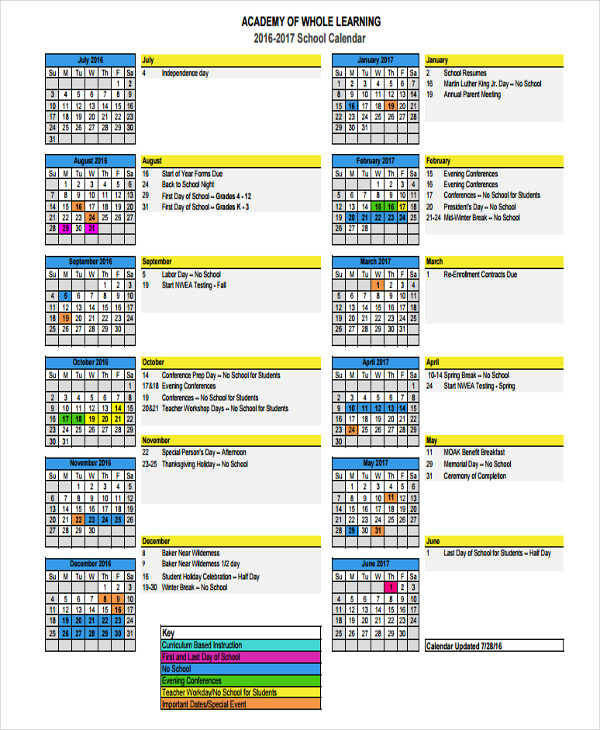 Using the calendars that we’ve provided, you can easily make an event calendar of your own. However, there are a few things you should consider before you start. When making your sample event calendar, you should make sure that you are clear of the events that are coming your way, as well as making sure that the event calendar corresponds to the date of the actual calendar for that year. You wouldn’t want to put a 29th on February when it isn’t a leap year, would you? That would seriously be confusing in the long term. It would also do well to make sure that the calendar you are making is flexible and can make any changes. Anything can happen in the future and nothing is set in stone exactly. Unless it’s a holiday, events can be pushed forward. 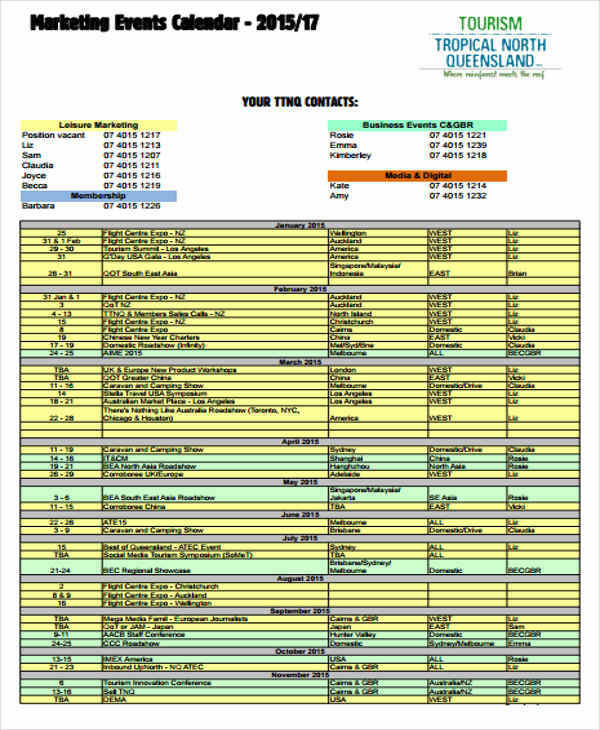 Event calendars can be used by more than just one person. They can be used by offices to show to their employees that they have events coming in the nearby future to keep everyone informed. This will help for a better way of cooperating with each other and making sure that everyone is in the clear of what the office is trying to do. 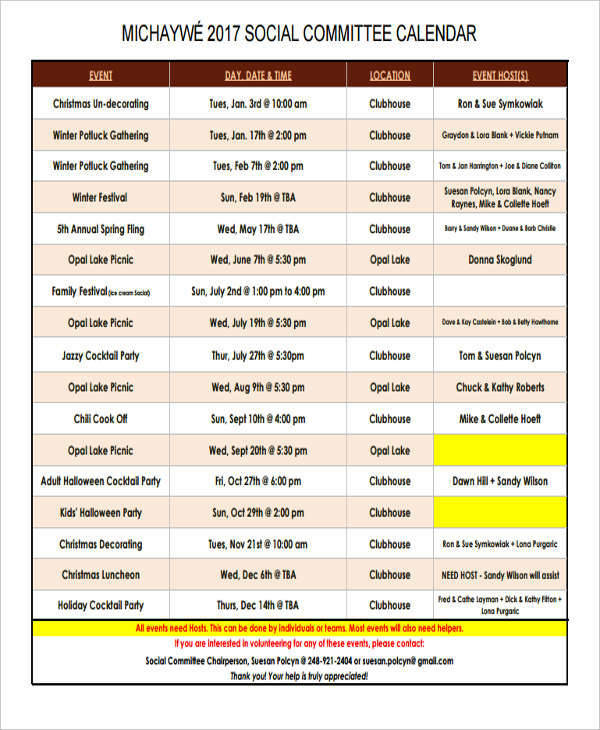 These event calendars can be really helpful for both the individual and the group. 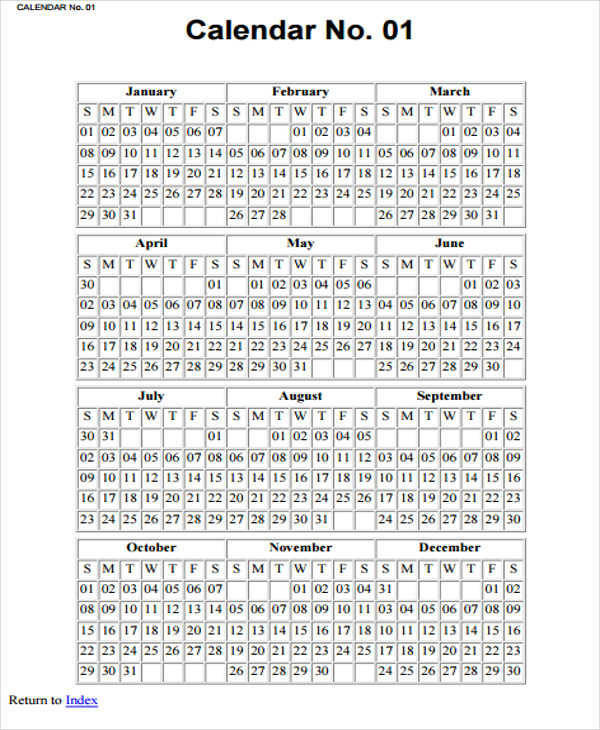 We offer many kind of calendars in our website, not just event calendars. You can check out these monthly calendar templates for more samples. Whether we like to admit it or not, human beings aren’t always too sharp in memory. We often need reminders of what we need to do to make sure that no two schedules clash. Sure, we want to have fun and just hang out with our friends, but maybe we have something really important to do that day. What if we forget? 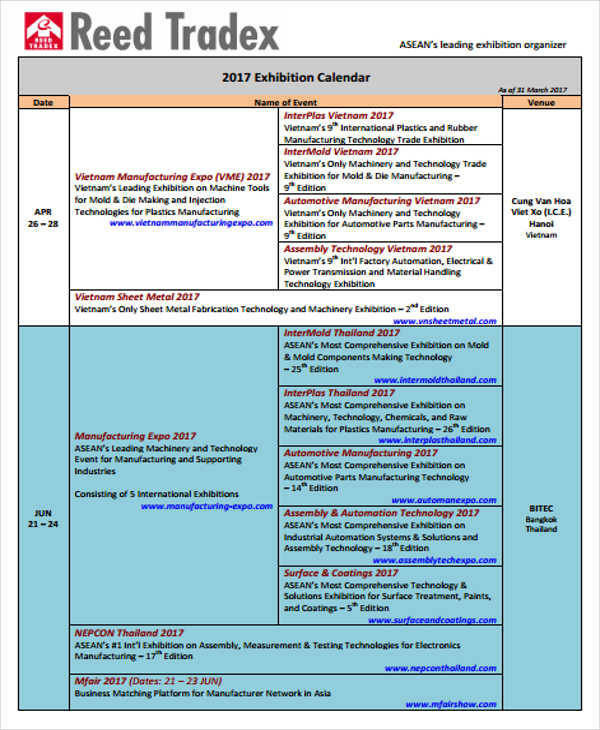 Event calendars are there to make sure that people are more informed about their schedules, be it for work or for their own personal reasons. These calendars can make it easy for everyone involved by displaying what they need to do on a specific day. 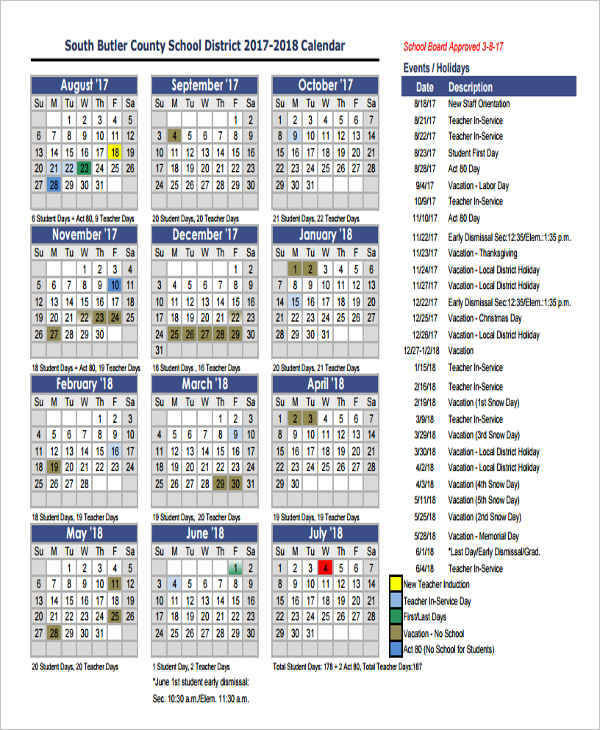 We hope that this list helped you find the kind of calendar you are looking for. If not, we always have more that we are very eager to offer. 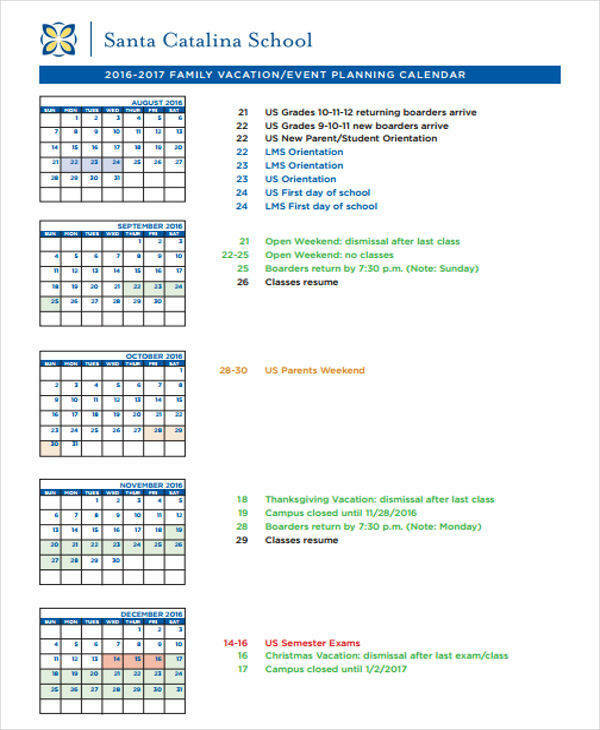 Take these quarterly calendar templates for examples if you are interested.